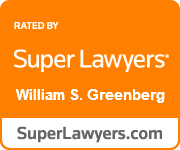 Mr. Greenberg practices primarily in the field of civil litigation. He began as a plaintiff’s personal injury attorney in a general practice firm where he sharpened his skills as a trial attorney. He has since expanded into a wide range of civil litigation areas including wrongful death, trucking accidents, medical malpractice, insurance coverage cases, administrative law hearings, estate and probate litigation, and legal and professional malpractice. 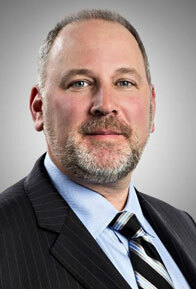 He has served as designated trial counsel in thousands of cases and dozens of jury and bench trials. Mr. Greenberg is also an experienced federal court litigator concentrating on the federal Fair Debt Collections Practices and Fair Credit Reporting Acts. In addition to litigation, Mr. Greenberg handles transactional work drafting and negotiating commercial leases particularly for restaurants and the food service industry. He also donates his time to the Office of Attorney Ethics and has served as an investigator, Vice Chairman, and Chairman of the District Ethics Committee and continues to sit as a Special Master for the Office of Attorney Ethics.